If you have been following along you’ll know we have been busy here at Pagely crafting a new control panel for our customers. A basic first pass at PressFormance analytics graphs are in. 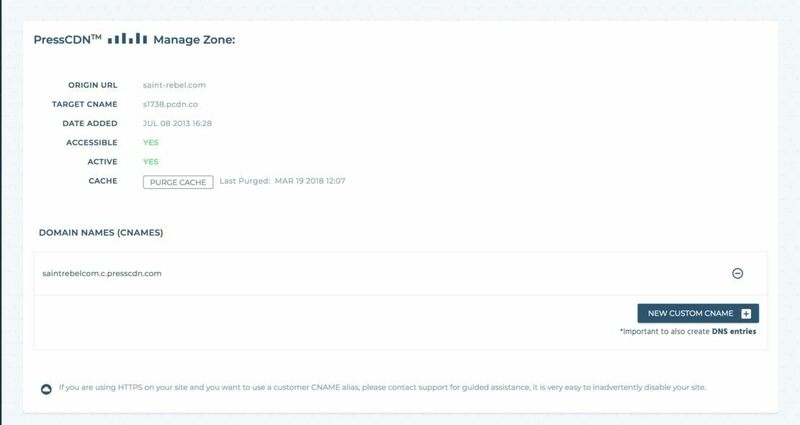 These will show you vCPU usage on your nodes as well as V-Burst credits if you’re on one of the V-Burst plans or have T2 servers. SSH management bugfix — ensure key is deployed in a timely manner. Under the hood: CDN improvements, prep for upcoming Atomic Beta management screens for PressCDN. UI improvements include some white space adjustments, a better default user profile icon, and responsive style enhancements. We’ve also added tooltips for the Profile management navigation links, and we’ve got more UI enhancements for the account switcher coming in the next months. Our Engineering team is cranking away at the remaining features to bring Atomic Beta up to full parity with Atomic Legacy. Also as of today all logins will now happen on the https://atomic-beta.pagely.com domain, so if you get redirected from your normal bookmark, know this is intentional. As we continue to port over the remaining modules, you can access legacy screens with the Atomic (Legacy) link in your right hand navbar. Atomic landing page with quick App access, FAQs, and a feed from our blog. 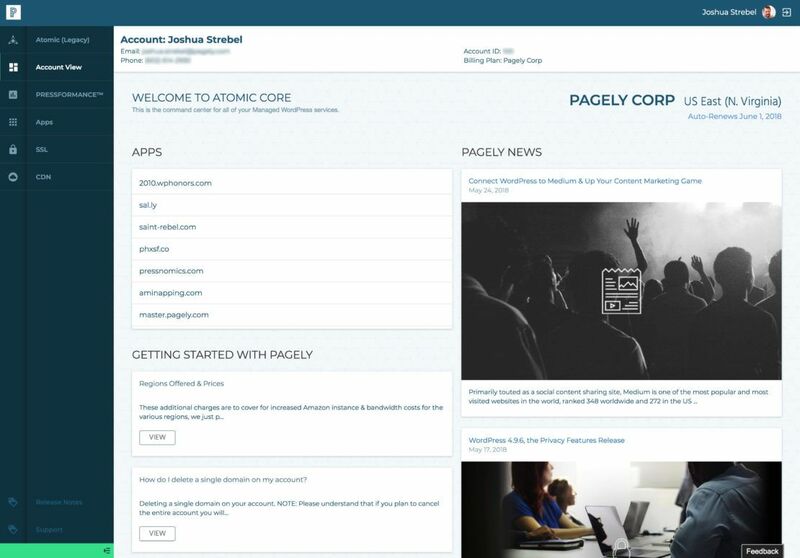 Add your team to help manage your account and sites at Pagely. 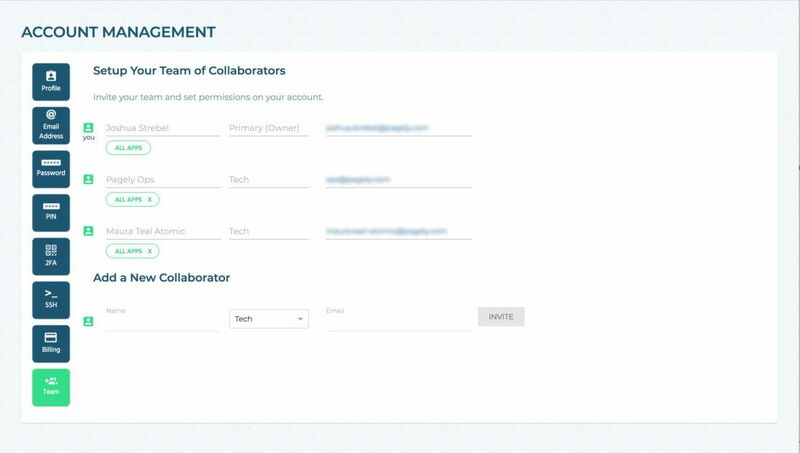 Set granular permission levels for each member to provide only the necessary level of access. First Pass at PressFORMANCE analytics graphs. 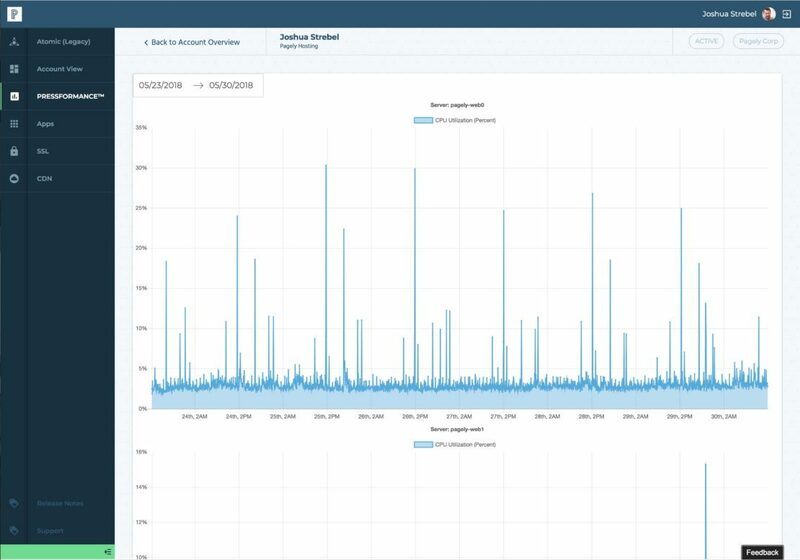 Insight into CPU utilization of your VPS. CNAME mapping to your WordPress instance. Add any new domain, and promote it to the primary position to change the url of that instance. Easily 301 any other domains to the primary. First pass at the new PressCDN console. Map a custom CNAME to your PressCDN endpoint. 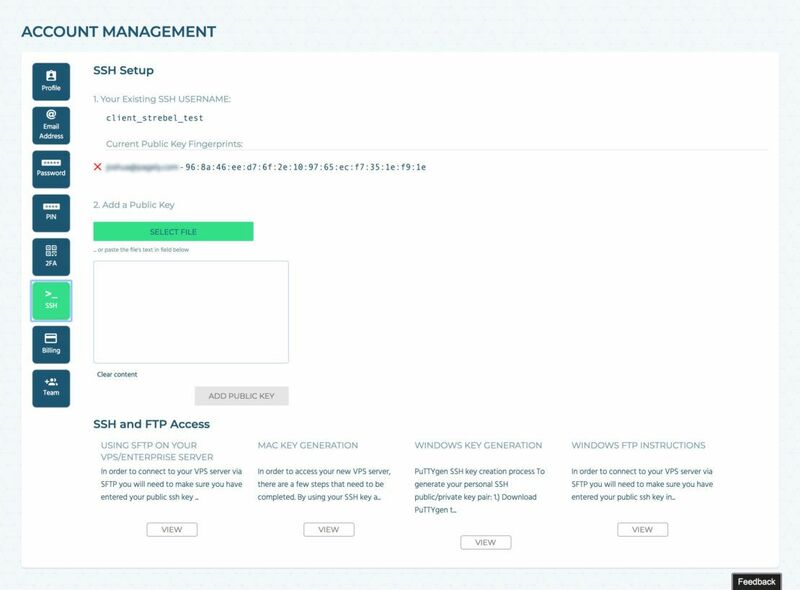 Easily add your SSH Public key for secure access to your instances. Read my recent blog post which outlines our process for 2018. It’s ambitious and we’re proud of the strides we’re making. Continuing to improve the technology we use at Pagely drives us every day. We don’t talk about it enough, so learn all about how we’re an advanced technology partner with Amazon for WordPress. Thanks for being a part of Pagely, it’s always our honor to continue serving you with superior managed WordPress hosting. I work on the interwebs and am CEO and co-founder of Pagely the Managed WordPress Hosting company. Father of 2 small boys and husband to an amazing woman. One Rogue Plugin: A noncanonical Star Wars and WordPress security story. How Does Your Caching Work? Why doesn’t a Formula 1 car have A/C and leather seats? Defeat the WordPress BotNet with this simple solution, use a pass-phrase.